Contenders who want to bid for the ESIC Delhi SSO Recruitment 2018 can apply from this page. The officials of the Employees State Insurance Corporation (ESIC Delhi) had decided to hire the talented candidates under the 539 Social Security Officer (SSO) / Manager Gr-II/ Superintendent Vacancies at the ESIC Department. Moreover, the Online Application Process for the कर्मचारी राज्य बीमा निगम Openings 2018 will be available from 7th September 2018 to 5th October 2018 from the official site @ esic.nic.in. Furthermore, note down the details given in the upcoming section of this page regarding the ESIC Delhi Jobs 2018. The Eligibility Criteria, Application Fee and also the Application Process with the pay scale, selection procedure, the important dates to apply for the Vacancies 2018. At the end of this page, we have also included the direct link to download the Official ESIC Delhi SSO Recruitment 2018 Notification PDF. 1.9 How To Apply For ESIC Delhi SSO Recruitment 2018? To apply for the released ESIC Delhi SSO Recruitment 2018 Notification, all the candidates should check their details by observing the below information. (e) the candidate of Indian origin who has emigrated from Pakistan, Burma, East African Countries of Kenya, Sri Lanka, Uganda, the United Republic of Tanzania (Formerly Tanganyika and Zanzibar), and Zambia, Malawi, Zaire, Ethiopia and Vietnam with the intention of enduringly settling in India. Educational Qualifications – A degree of a recognized University (Preference will be given to the graduates in Commerce/ Law/ Management). And the Working knowledge of computer including use of office suites and database. 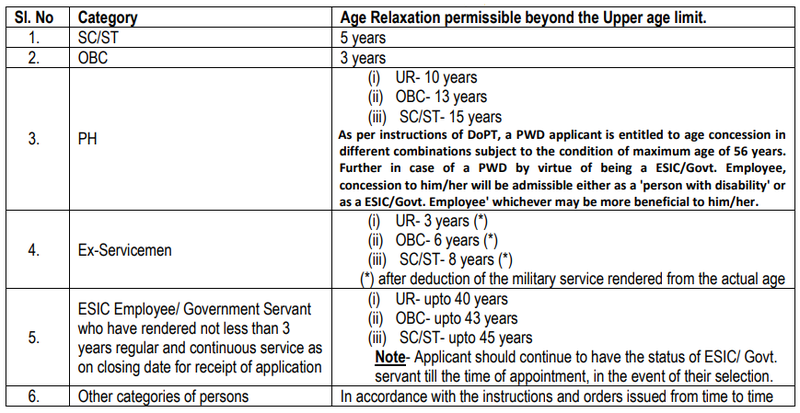 Age Limit – Between 21 to 27 years as on the closing date 5th October 2018. Undertaking or Local Body or Scheduled Bank etc. All the selected contestants will get the Pay Scale as per the rules of the organization under the ESIC Delhi SSO Recruitment 2018. 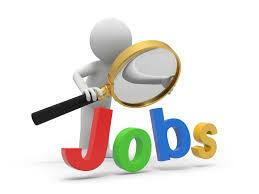 Check our Sarkari Recruitment webpage for the other information. Candidates can pay the Application Fee for the ESIC Delhi SSO Recruitment 2018 through the Debit or Credit Card or else through the Internet Banking. कर्मचारी राज्य बीमा निगम Selection Process 2018 for the ESIC Delhi SSO Recruitment 2018 will be the Written Examination (Prelims & Mains), Computer Skill Test and Descriptive Test. How To Apply For ESIC Delhi SSO Recruitment 2018? First of all, wannabes need to visit the website www.esic.nic.in and search the link “Apply Online for ESIC Delhi SSO 2018” under the recruitment tab and Click on it. The Online Form for the ESIC Delhi SSO Recruitment 2018 will be opened. Fill carefully and submit it after verify the details filled in the online application. Pay the fee and take a printout of the application. Submit the form on or before 5th October 2018.